We have provided answers to many commonly asked questions about our policies below. If you would like any more information, download our Policy Booklet or call us on 1800 668 502.  What benefits does Bow Wow Meow Pet Insurance offer? Our policies cover vet treatments and surgeries for accidental injury and illnesses ranging from minor problems such as ear infections and bee stings to major conditions such as broken bones, diabetes and cancer. 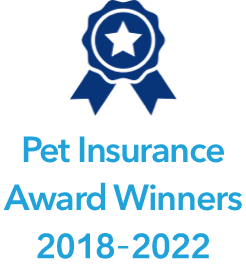 Our Ultimate Care Plan goes one step further and also includes cover for Dental Illness (up to $1,000 per year) and optional Alternative Care cover of up to $1,000 per year. Plus, if you choose the optional Routine Care cover you can use these benefits to provide your pet with cover towards routine preventative care such as vaccinations, health checks, flea, tick, worm control, teeth cleaning, microchipping, desexing and even council registration fees. For further details, please refer to our Product Disclosure Statement. What is the benefit percentage or benefit rate? This is the stated percentage of each claim for eligible Vet Expenses for which we will reimburse you, subject to any applicable Benefit Limits. For example: for an 80% Benefit Percentage we will reimburse you for 80% of the eligible Vet Expenses and subject to Benefit Limits. At what age can I start my pet's insurance?  You can start your pet’s cover from 8 weeks of age and before its 9th birthday on our Indoor Cat Plan, Peace of Mind Plan and Ultimate Care Plan. There is no upper age limit for our Accident Plus plan, so any pet can join no matter how old. Can I insure my pet as it gets older? We offer lifetime cover, so once your pet is insured with us we will renew your pet’s policy for life, as long as you continue to renew your policy (subject to the terms and conditions of the policy). Can I visit any vet? Yes, you can visit any vet (other than yourself) that is licensed to legally practice as a veterinarian in Australia. Yes, if you insure more than one pet with us you will receive a 10% discount on the second and subsequent pets. Like most insurance policies, we have a few exclusions to keep your premiums affordable. These include pregnancy, elective procedures, foods/diet, grooming, behavioural problems, and pre-existing conditions that showed clinical signs before taking out the insurance. More information about exclusions is available in our Policy Booklet, which you can download here. Can I change my cover once I have applied? You can upgrade to a higher cover on your policy renewal date at any time as long as you haven’t made a claim on your current level of cover. Where you upgrade to a higher cover level, then applicable waiting periods for the higher cover will apply. If you are not happy with your policy, you may cancel the policy within the 21-day cooling off period as long as you have not made a claim and any premium you have paid will be refunded in full, less any reasonable costs or taxes or duties we are unable to refund. We have listened to our customers, and know you prefer to get money back for each eligible vet bill. We have therefore removed the per-condition excess from our new range of policies. This translates into more rebates for you for even the smallest vet bills. Are there any limits on the claims I can make? Some sub-limits also apply within each policy. Are there any claim limits on X-Rays, medicines or hospitalisation? No, you are covered for these items up to the annual overall benefit limit. Do you cover hereditary and congenital defects? Yes, provided symptoms or clinical signs of these defects were not present prior to commencing cover, or during the applicable waiting periods. Your policy will commence at 23:59 on the day that your proposal has been accepted by us. Your Certificate of Insurance will state the commencement date of your policy, and your policy will be effective from 23:59 on that date. How much will I get back for the money I spend at my vet for illness or accidental injury treatment? Depending on the policy chosen, you will receive up to 60%, 70% or 80% of the eligible cost of treatment for your dog or cat, subject to the annual limits, benefit rates and conditions set out in the policy documentation. Does my pet need a health check when I first take out insurance? You are not required to undertake a health check for your pet when you first get insurance. However, you may wish to apply to waive the six (6) month cruciate ligament waiting period (if covered by your policy) which will require a vet to examine your pet and complete a cruciate ligament exam form. You also need to be aware that pre-existing conditions are excluded from illness cover, which includes conditions that pre-date the policy and conditions that arise during the waiting period. How do I get my free pet ID tag? As a Bow Wow Meow policy holder, you are entitled to a free personalised ID tag to let people know that your pet is insured with us. A coupon for your tag will be emailed to you (as long as you continue to hold the policy after the 21-day cooling off period has ended) within 3-4 weeks after signup, along with instructions for ordering your tag online. You can also order a new tag if you change your contact details or if your pet’s tag is lost(limit of one new tag per policy period). Once you have ordered your tag, it will be sent out to you along with a handy pet health card to keep in your wallet. The card is a useful way to store information related to your pet insurance policy. What should I do as soon as I have signed up? What do I need to do when my policy first starts? Read over your policy documents: Your policy documents are sent to you via post or email, depending on your communication preference. They can also be accessed at any time through My documents in the pet portal. Check that all your personal details and pet details are correct. You also should make sure you understand your level of cover and any waiting periods, sub-limits and exclusions that may apply. Included in your welcome pack is a Product Disclosure Statement – this will give you information about what is and isn’t covered. Add a reimbursement account: Adding a bank account for reimbursements means your claim payments reach you faster. If you already provided a bank account for premium payments this should be automatically set up for you. If you pay your premiums by credit card, you will need to add a reimbursement account. Banking preferences can be updates in the pet portal. 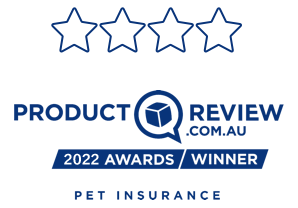 Understand claim requirements: As a minimum we will need an itemised invoice for each claim, and usually for the first claim we will need vet consultation notes for the life of your pet. If you don’t provide these at the time of claiming, we may need to contact you or your vet and this may result in a delay in claim processing. Find out more here in our pet portal. Add your vet details: Add in the details in the pet portal of your current and previous vets so contacting them is easier. Update your notification preferences: Email and SMS communication gets to you faster than the post. If you wish to receive communication by email and SMS, ensure your notification preference is switched to ‘Digital’ in our pet portal for fast and easy notifications. Dogs and cats have a cruciate ligament located in their knee that helps to stabilise the knee joint. Sometimes, the cruciate ligament can either partially or completely tear and it generally requires surgery to repair it. Cruciate ligament conditions irrespective of cause or origin, are subject to a six (6) month waiting period unless we agree to waive it. To do this, we need to receive a completed and signed ‘Cruciate Ligament Exam Form*’ from your vet within 14 days of the cruciate examination date certifying that your pet has been examined, at your expense, on or after the policy commencement date. You can email, fax or mail the form, if we receive it within the 14-day timeframe. We will notify you of the outcome in writing. Refer to your PDS for further terms and conditions. *This form can be found in your welcome pack or you can download it here. How can I add another pet to my policy? It’s great you want to insure another pet with us. To complete this application there are a few questions we need to ask you about your new family member, so it’s best if we go through this application process over the phone. Call us on 1800 668 502 (Mon – Fri 8.30am – 5pm AEST) or contact us and we can arrange this for you. How do I renew my pet insurance policy? For your convenience and to ensure continuity of cover for your pet, we will automatically renew your policy each year unless you instruct us otherwise. You will receive your renewal notice a few weeks before your renewal date – either by email or in the post depending on your notification preferences. This notice will specify any changes to your cover or your premium. There’s no need to get in touch unless you would like to discuss making changes to your cover or any of your details or your pet’s details have changed. Contact us if you’d like to discuss your cover options. Can I add an authorised person to my policy? Yes, all you need to do is call us with your request and we’ll let you know what’s required. Bear in mind that your authorised person does not have the same rights as you, the policy holder. This is designed to protect your interests. Authorised persons can make claims, enquire about claims, update payment details and change the premium collection date or frequency. They will not be able to cancel your policy, add a pet, make changes to the level of cover, register for the Pet Portal or change your contact details – these rights reside with the policy holder. For privacy and legal reasons, we cannot release any policy information to those not authorised on your policy. For the first claim we also require vet consultation notes for the life of your pet. If you adopted your pet at a later age, we will need documentation showing the date you took ownership. To help assist us with obtaining this vet history, you can also add your vet details in the Pet Portal. You can submit your claim without vet consultation notes but in some cases, we may not be able to process your claim without them. If this is the case, we may need to contact you or your vet/s which may result in a delay in processing your claim. If submitting a claim via post, the same documentation needs to be submitted as above. All claim documentation must be original for postal claims and it must be accompanied by a completed claim form, that must be signed by you and your vet. Why is my claim split into multiple claim numbers? When you visit the vet, you may have several different treatments that happen in one visit – such as a vaccination and treatment for an ear infection. While you may submit these in one claim, we need to process them per pet condition type. This will make it easy for you to see which expenses have been covered and what documents we require to complete each individual claim. You can also see your benefit amount for each condition and if any excess has been applied. All claims should be submitted and received within 90 days of the relevant treatment being provided. Claims are generally processed within 5-10 business days, if we have all the required documentation. To ensure speedy processing of your claim, see How do I make a claim? to find out what documentation is required. If the required documentation is not submitted with the claim, there may be a delay and we may need to contact you or your vet/s. What are the claim requirements for adopted pets? Generally, for the first claim we require vet consultation notes for the life of your pet. If you can provide us with proof of adoption or transfer of ownership papers, we will only request vet documentation from that date onwards. What if I have a complaint about my policy or a claim? Your premium is based on the risk of insuring your pet. Some factors we consider when calculating a pet insurance premium are your pet’s breed, cross-breed and age. If you miss a payment you will be notified by SMS, email or letter. A policy may be cancelled due to non-payment if a payment is unsuccessful on three separate occasions. If you receive communication from us regarding a missed payment, make sure your payment details are up to date. You can update your bank details through your Pet Portal or contact us to discuss your payments. Bear in mind that if your premium cannot be paid (for example there is not enough money in your nominated account) your bank may dishonour that payment, and you may be charged a dishonour fee by your bank. Neither Hollard nor PetSure will be responsible for dishonour fees charged by your bank or financial institution should this occur. If you pay your premiums by direct debit, a valid claim will be paid directly into your nominated bank account. If you pay your premiums by credit card, a valid claim will be paid by cheque if you don’t provide us with reimbursement account details. You can add a reimbursement account here. You can pay by credit card or by direct debit from a bank account. For your convenience, you can choose to pay your premiums fortnightly, monthly or annually. How can I change my payment date or frequency? The best way to request a change to your payment date or frequency is by contacting us to discuss your payment options. We will do what we can to find a payment schedule that suits your needs.